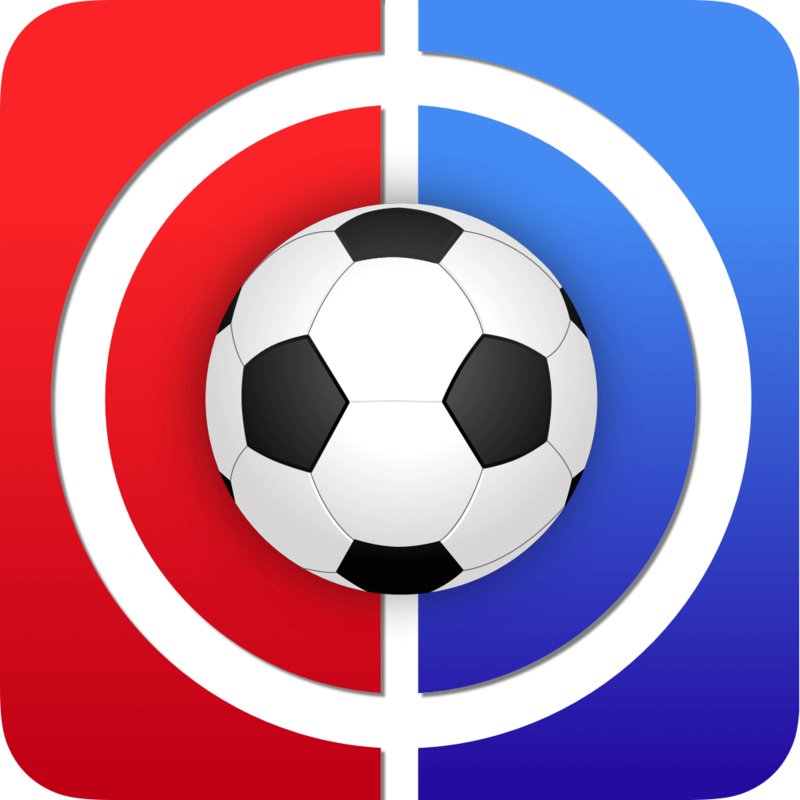 Welcome to Fantasy Football Live Match Chat Gameweek 15. Live Match Chat on a Tuesday? Surprise! Well, we hope not… Live Match Chat on a Friday last time did seem to flummox a few site regulars though. This despite many, many mentions of the early deadline as well as a bloody big countdown timer on site with not only the date on it but an actual countdown timer, who knew. And these are site members who come on and use the facilities. Now this is not to denigrate them at all, we feel for them and hope they do better in future. It’s more to point out that if they are missing such tricks then just imagine how many of your your mini-league rivals, who may pay even less attention, will probably drop similar balls. Lovely! The moral being… don’t even mention it in passing to them, simply rock up in work the next day and ask them who they transferred in. These midweek games are like speed dating compared to our usual drawn out affairs. Tuesday sees four of them, it begins at 7.45pm and will be done and dusted by 10pm. 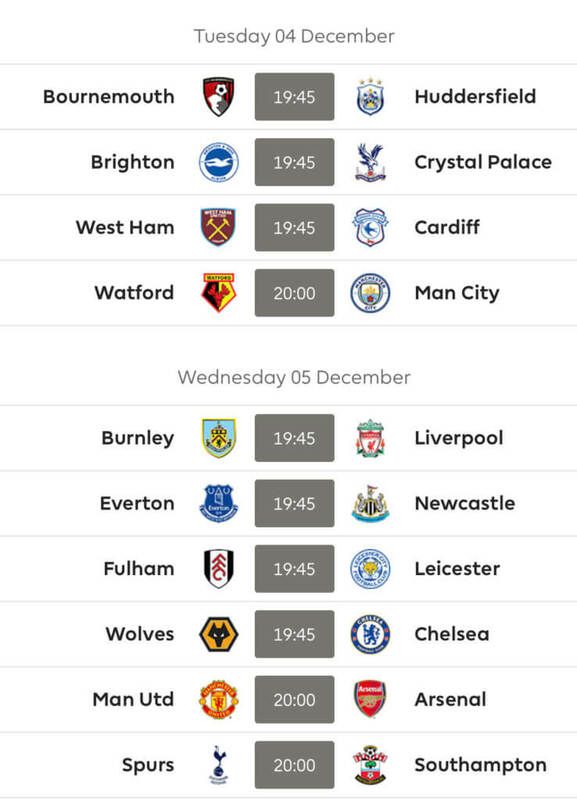 Bournemoth v Huddersfield, Brighton v Palace and West Ham v Cardiff all kick off our short week followed 15 minutes later by Watford v Man City. And that’s Tuesday over. 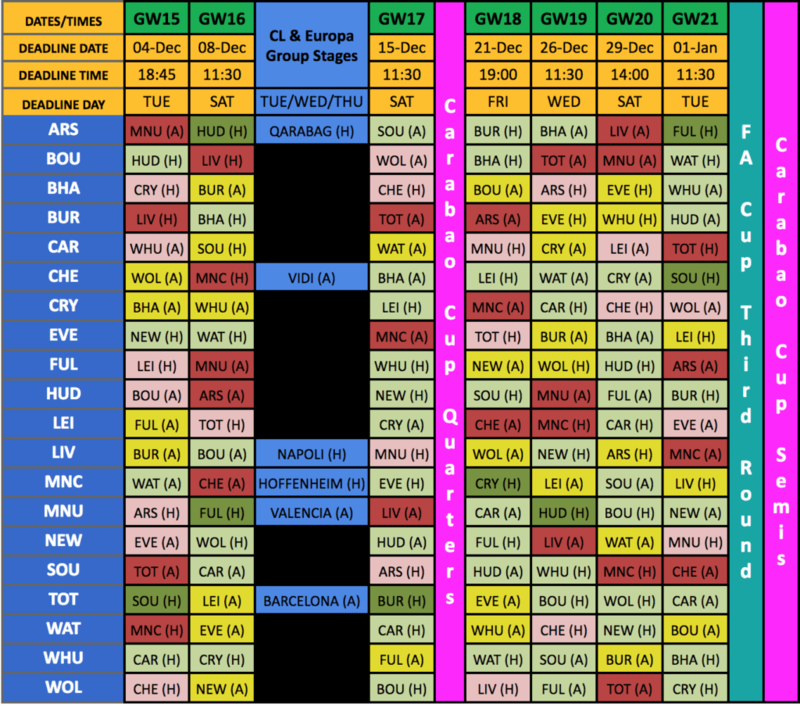 Wednesday sees the remaining 6 games and again they will be over in the blink of a fantasy eye. 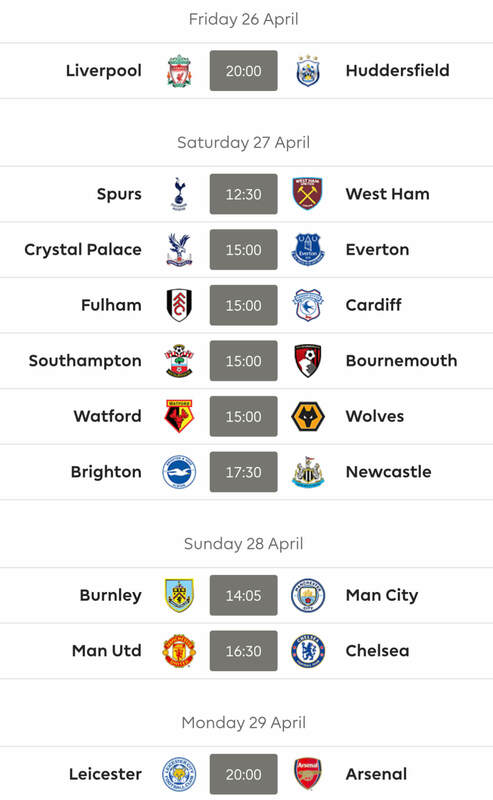 Burnley v Liverpool, Everton v Newcastle, Fulham v Leicester and Wolves v Chelsea are our ‘early’ ones, followed by Man United v Arsenal and then Spurs hopefully putting the final icing on the cake of a decent gameweek by sealing Mark Hughes’ departure at 8pm. Good luck to absolutely everyone for Gameweek 15 from all at FF247! Thanks for reading Fantasy Football Live Match Chat Gameweek 15.